Logitech G100s Review - YouTube. Made for PC gaming: Compatible with Windows 8, Windows 7 and Windows Vista. Advanced surface materials: Feel the difference with hydrophobic coatings that help you prevent your hand from sticking to the mouse. 21090 EAN code Speed select button (800-2500 dpi). DPI 800/1200/2000/2500. Size Mouse 124x81x42mm. Key features. Durable braided cable for less drag. User right-handed. Cable type nylon braided. World of tanks Konix M-25 Wired Mouse. The shape of this gaming peripheral masterpiece is built to perfectly fit into your right hand. Resolution: 2500dpi, Adustable. With the driver you can customise your individual settings. - Type: Gaming Mouse. Manufacturer Part Number: RGOBRHEMLR. R-GO BREAK HE MOUSE, ERGONOMIC MOUSE, ANTI-RSI SOFTWARE, LARGE (ABOVE 185MM), RIGHT HANDED, WIRED R-Go HE Mouse with break software The R-Go HE Mouse Break is an ergonomic vertical mouse that ensures a natural, relaxed position of your arm and hand and uses colour signals to indicate whether you are taking enough breaks. Resolution: 2500dpi. Resolution: 2500dpi. - Ergonomic Design. Ergonomic Design. - 5-button Right-handed Mouse. During that process you will be issued with an RMA number. - Cable Length: 150cm. - Accurate, Easy-access and Quiet Scroll Wheel. Manufacturer Part Number: RGOBRHESMR. The LED colour signals indicate whether you are working in a healthy way; in other words, whether you are taking enough breaks. The mouse will encourage you to take breaks on a regular basis. Resolution 2500dpi. Sensor Optical. Colour: Black. During that process you will be issued with an RMA number. Product Specifications. Cable Length: 1.5m. Ultra Low Friction, Long-life Feet. Images shown are for demonstration purposes. You move from the forearm instead of your wrist, which prevents RSI. The mouse fits comfortably in your hand, and supports your wrist and fingers. Colour: Silver. Pointing Device Connectivity Technology: Wireless. Device interface USB. Laser colour Red. Colour of product Black, Red. A DPI clutch enables instant switching among four customizable sensitivity levels, giving you the right amount of speed for standard gaming sequences and ultimate precision when you need it, such as when sniping. A DPI clutch enables instant switching among four customizable sensitivity levels, giving you the right amount of speed for standard gaming sequences and ultimate precision when you need it, such as when sniping. Asus CERBERUS Gaming Mouse. A DPI clutch enables instant switching among four customizable sensitivity levels, giving you the right amount of speed for standard gaming sequences and ultimate precision when you need it, such as when sniping. Customize DPI Switch: 500/1000/1800/2500dpi. Work: Optical interface type. Optical Resolution: 2500DPI. Mouse LED: Blue LED Light. Optical technology works on most surfaces. 2.4GHz Wireless. USB Key number: 5 1(scroll wheel). ZELOTES F-15 Dual-mode Gaming Mouse 2500DPI Wired/Wireless Adjustable DPI. engine：Optics. No reception state：10-25uA. Four DPI gear shift. 1x User manual. response rate：250Hz-500Hz. Off:turn of the power ; on:turn on the power ; Open the blue Cool light. Customize DPI Switch: 500/1000/1800/2500dpi. 2.4GHz Wireless. Work: Optical interface type. Optical Resolution: 2500DPI. Mouse LED: Blue LED Light. Optical technology works on most surfaces. Special Edition for Gaming,built-in weight. Customize DPI Switch: 500/1000/1800/2500dpi. Mouse LED: Blue LED Light. 2.4GHz Wireless. no need to code, plug & play. Switch Life: 5 million cycle. Work: Optical interface type. Maximum acceleration: 20G. Engine：Optics. No reception state：10-25uA. Four DPI gear shift. 1x User manual. response rate：250Hz-500Hz. Off:turn of the power ; on:turn on the power ; Open the blue Cool light. Product Size：130 81.5 39.8mm. Customize DPI Switch: 500/1000/1800/2500dpi. Mouse LED: Blue LED Light. 2.4GHz Wireless. no need to code, plug & play. Switch Life: 5 million cycle. Work: Optical interface type. S pecification System clock: 250HZ. Experience pinpoint accuracy in your gaming action with this Logitech G602 910-003820 wireless gaming mouse, which features 5 distinct dpi settings to accommodate your needs. 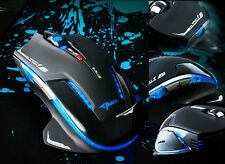 ZELOTES F-15 Dual-mode Gaming Mouse 2500DPI Wired/Wireless Adjustable DPI. engine：Optics. No reception state：10-25uA. product weight：120±5g. 1x User manual. response rate：250Hz-500Hz. Off:turn of the power ; on:turn on the power ; Open the blue Cool light. Customize DPI Switch: 500/1000/1800/2500dpi. 2.4GHz Wireless. Mouse LED: Blue LED Light. Special Edition for Gaming,built-in weight. USB Key number: 5 1(scroll wheel). Ultra-precise Scroll Wheel. Ultra-quite and Low-friction. Wedge Touch Mouse even knows how to save energy. Wheel direction: Touch wheel. Transmission frequency： 2.4GHz. Product Type: Personal Computers. EMS: To Russia, Brazil, Cyprus, Poland, Latvia ,Cezch. 1x Logitech G300s Optical Gaming Mouse. Support for Logitech Official Software. 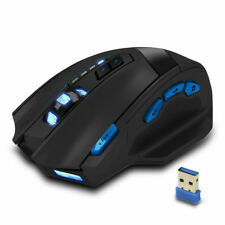 Professional MMO gaming mouse with up to 9 programmable keys. 200-2500DPI Optical Sensor. A Protective Film On The Surface Of The Mouse. We will resolve the problem until you are satisfied. Four DPI gear shift. Each has indicator alerts. engine：Optics. No reception state：10-25uA. product weight：120±5g. 1x User manual. response rate：250Hz-500Hz. Off:turn of the power ; on:turn on the power ; Open the blue Cool light. New Version ! Learn more about Logitech Gaming Software. Able to survive the most intense gaming sessions, G300 can go for as long as you can. Program all nine buttons across so you can bring your setup to other PCs. Logitech G300S Optical Gaming Mouse. 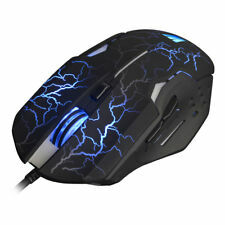 You can save profiles in this Optical Gaming Mouse and these can be carried forward to different PCs. The G300s Optical Gaming Mouse (910-004347) feels comfortable under both your hands owing to its nicely crafted well-proportioned design. 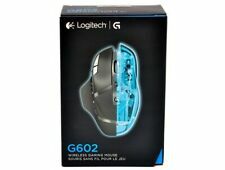 NEW LOGITECH G602 WIRELESS GAMING MOUSE 910-003820 FAST FREE SHIPPING. Condition is New. Shipped with USPS First Class Package. 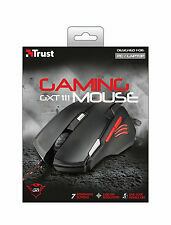 1xGaming Maus ( ohne Kleinpaket ). Customize DPI Switch: 500/1000/1800/2500dpi. 2.4GHz Wireless. Mouse LED: Blue LED Light. Special Edition for Gaming,built-in weight. USB Key number: 5 1(scroll wheel). Hope to have an opportunity to serve you. Local pick up is not allowed. DPI: 1000-1500-2000-2500DPI. Number of keys: 8 keys :①Left button ②Right button ③General rolling ④DPI up. 6ft high-strength braided fiber cable and anti-skid scroll wheel. Roller life: 1.2 million rotation. Ajazz AJ52 7 RGB Backlit Modes 2 well-designed side buttons Wired Gaming Mouse Adjustable DPI 750/1000/1250/1500/1750/2000/2500. Model: AJ52. 1 x A-jazz AJ52 Gaming Mouse. 7 RGB Colorful Backlit Modes, adjust DPI to adjust different modes. Put push-to-talk communications in easier reach. Temporarily down-shift DPI. Mouse type: wired optical mouse. - 7-color colorful indicator light for easy switching. - Super wear-resistant foot pad of advanced material. Each has indicator alerts. Four DPI gear shift. Resolution：1000-1500-2000-2500DPI. Standby Current：1.3mA. Channel：32 channels. Off:turn of the power ; on:turn on the power ; Open the blue Cool light. Firepower button.